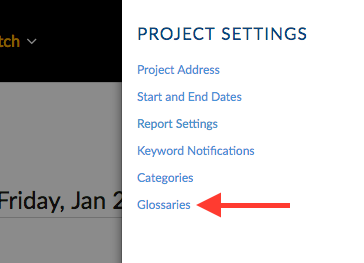 Add common names of people or locations that are often misspelled to your project glossary. This will need to occur for each project. Add terms to the 'TERMINOLOGY' section. Click 'Add Term' for each term you type in. 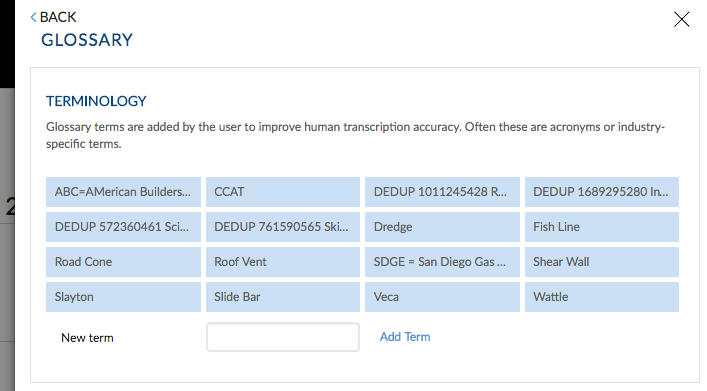 These terms will now be available to our human transcribers so that they do not misspell these terms in the future during the transcription process.